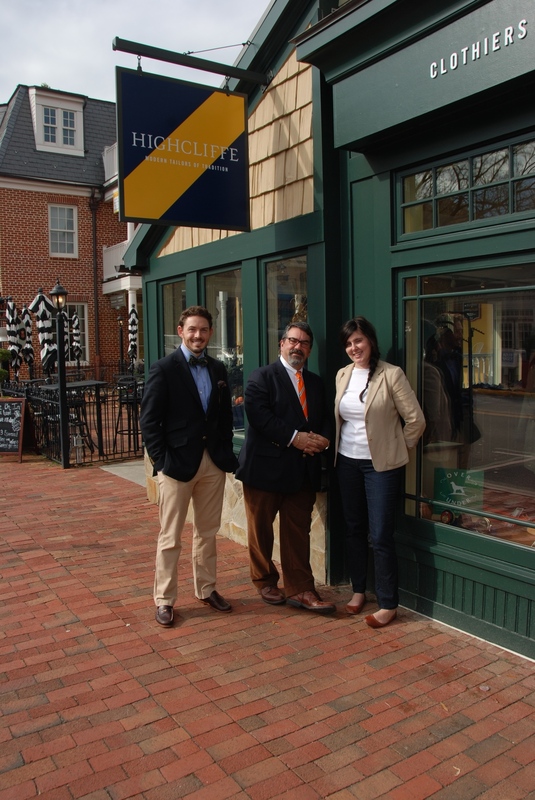 Located in the historic hamlet of Middleburg, Virginia, Highcliffe Clothiers are purveyors of fine custom and tailored clothing for discerning men and women. 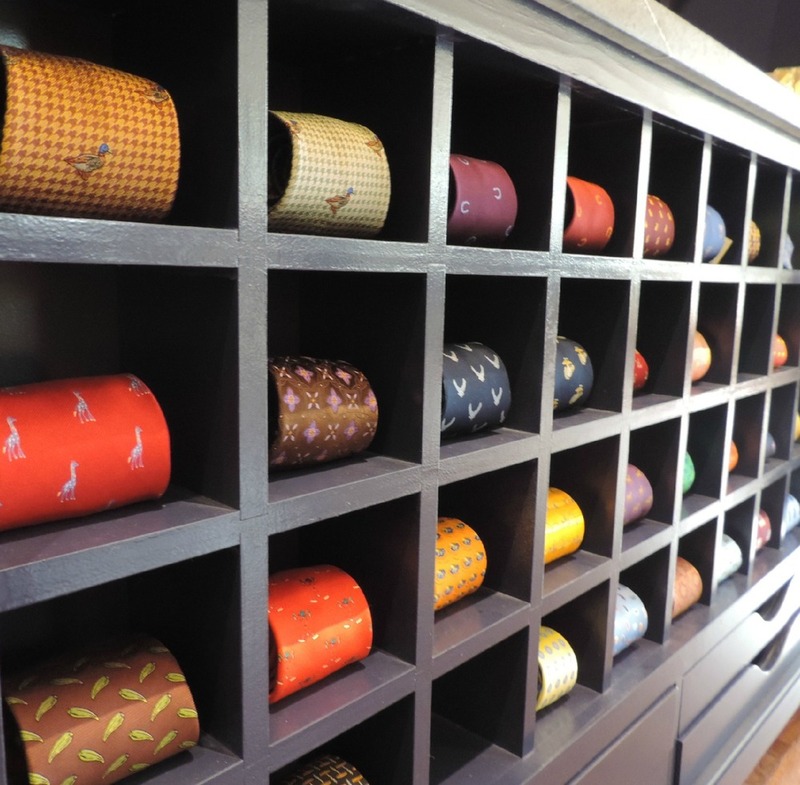 Highcliffe Clothiers is your "old school" haberdashery for both men and women. We specialize in clothing made in the USA and Europe that embodies both eclectic and traditional styles. We utilize the finest fabrics and feature clothing that is elegant, functional and comfortable. This is as true in our custom clothing as it is in our men's and women's ready to wear collections. With an extensive selection of accessories, especially cufflinks, you can complete all your sartorial needs. Those hard to find haberdashery accessories are always available, from sock garters to collar bars. Our shirts, jackets, trousers and ties will keep you well turned out for any occasion. We are proud to carry such brands as Chrysalis, Musto, Belstaff, T.ba, Corgi, Smathers & Branson, Wiley brothers, Henry Sage, Hertling, Saxx, NYDJ, Gitman Bros., Rancourt & Co., Alden, RM Williams, Blundstone, Swims and Saphir. Custom clothing isn't really about luxury or expense. It's about getting what you want the way you want it. Much of that has to do with fit. The simple fact is we aren't all a size medium or 40 regular. Each client has subtle irregularities in their body that makes clothing fit them differently. We pride ourselves on attending to those areas like posture, shoulder stance and chest prominence. That's what we do. The options are seemingly endless. We aim to ensure your custom clothing experience is as simple or as detailed as you prefer. 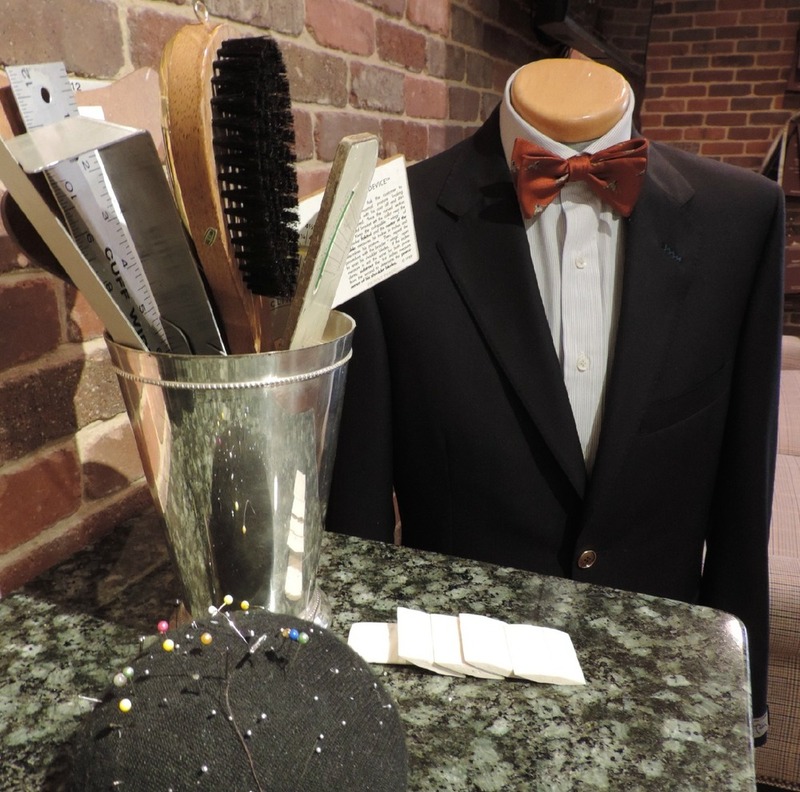 We offer custom suiting under our house label as well as from Hickey Freeman and Oxxford Clothes. Measurements are kept on file and updated at each visit. The shirt is the cornerstone of a gentleman's wardrobe. Our custom shirts start off as bolts of cloth in the finest mills around the world. We mold that cloth into the shirt of your dreams. Our shirts are made in the USA by the finest shirt makers. We offer expert guidance on creating shirts that flatter your body type and personal style. Styles range from tuxedo shirts to polos. Suits, jackets, pants, vests and overcoats are but a few things our 5,000 plus fabric swatches can be used to create. Our keen understanding of body shapes and sizes as well as a knowledge of what fabrics work for those shapes help create properly fitting suits and jackets. Measurements are taken at your first appointment and updated regularly. From shooting suits to scarlet tails, our selection of fabrics and style options will suit your wildest expectations. Choose from the finest Harris Tweeds or the heaviest melton wools to keep you warm and in fashion. Custom clothing has evolved beyond the suit. We're proud to offer custom made casual wear. After all, shouldn't your entire wardrobe fit you perfectly? For those who only need a tuxedo for an occasion we offer a convenient and cost effective rental service with a variety of styles. This service is also available to wedding parties and events with dress codes. Our tailored services will custom fit any item of clothing in your closet to fit you perfectly. Has your favorite garment become overly worn? We can reweave it for you. We're proud to offer world class footwear & shoe care products from Saphir. The Alden Shoe Company was founded in 1884 by Charles H. Alden in Middleborough, Massachusetts. Alden is now the only original New England shoe and bootmaker remaining of the hundreds who began so long ago. Still a family owned business, still carrying forward a tradition of quality genuine-welted shoemaking that is exceptional in every way. Born in the Australian outback, R.M.Williams purposefully designs beautiful and sustainable clothing, boots, shoes and accessories to help you enjoy life's adventures. From their iconic men's and women's leather boots and hand-plaited belts, handcrafted in the factory in Adelaide, Australia. The Rancourt family has been making shoes in Lewiston, Maine for three generations. Each shoe is made by hand. Famous for their hand sewn styles, Rancourt builds each shoe with some leather, some heritage and some family pride. Swims innovative water compatible shoes are as versatile as they are stylish. Perfect for the beach or just a hot summer day. Mark Metzger, the gent in the dinner jacket, brings with him over 30 years experience in custom clothing and tailoring. In 2007, he moved Highcliffe Clothiers to Middleburg from Washington, D.C. where it has become a fixture in the Virginia Hunt Country. He is a two term President of the Custom Tailors and Designers Association and has served continually as an active board member since 1999. A devoted angler, Mark was a World Championship Carp Fisherman for the 2005 Team USA. Mark has exceptional luck at games of chance, the envy of friends and family, and starts every morning perusing the obituaries in search of a life well-lived. Emily Hemby, the grand dame of Highcliffe, has been providing our customers with exceptional service since 2009. She has a deep appreciation for items made in the USA, many of which are featured on our shelves. On her days off she can be found at the baseball diamond cheering on her son or settling in with a glass of Riesling and a rollicking good comedy. Philip Miller, the maverick in the driver’s seat, started his dapper journey as a sartorial savant at the tender age of ten, taking a pocket knife to the cuffs of an oxford shirt so he could wear cufflinks. This led him to develop a line of cufflinks and men’s accessories inspired by his love of cars and the sporting life, as well as becoming Highcliffe’s head of marketing in 2012. In his off hours, Philip relaxes with cigars and whiskey as well as historical non-fiction and DIY projects around his home. He is inspired by stylish films and their stars - James Bond, Cary Grant and Steve McQueen.